shoved in a top-slit Wonder bun. this way and give some back to me. ISRAEL! and everyone goes crazy. oatmeal snowman, that’s my face. on the host my licks turn green. to call my pecker The Wishbone. in a blizzard of ash. as a tobacco field in heaven. every day I’m on it. tornadoes were apt to happen? is right twice a day. Mark Bibbins is the author of Sky Lounge, The Dance of No Hard Feelings, and the forthcoming They Don’t Kill You Because They’re Hungry, They Kill You Because They’re Full. He lives in New York City, and teaches writing at The New School, where he also co-founded LIT Magazine. 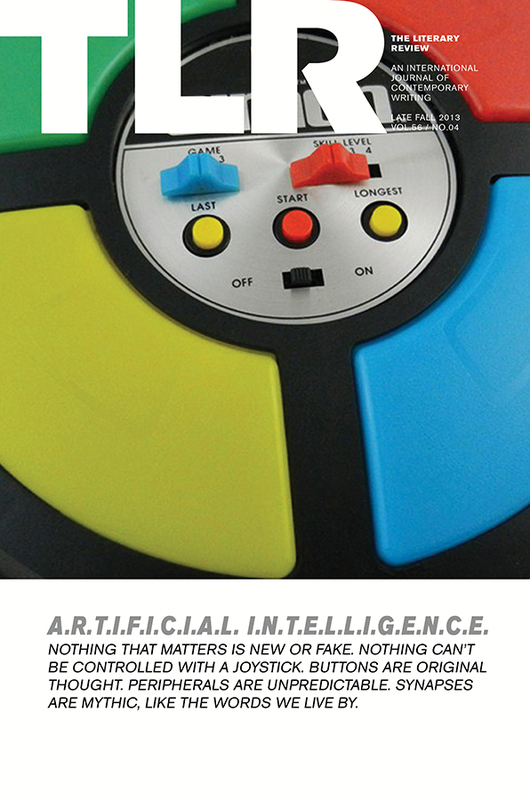 “Pat Robertson Transubstantiation Engines” appeared in our Late Fall 2013 issue, Artificial Intelligence.